Cool, easy side dishes and salads for the summer are crucial to have in your recipe file. You never know when company will stop by or when you get invited somewhere and need to throw something together at the last minute. Like this pasta salad. They’ll keep inviting you back, as long as you keep bringing it. 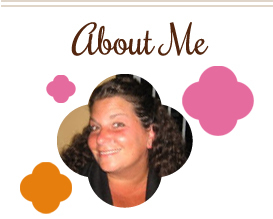 I threw this together while we were down the shore to go with sandwiches. It totally hit the spot! It’s great if you need a dish that can be made ahead or transported. Make this for the 4th! Cook pasta according to package instructions, or even a minute less. Drain and run under cold water. In a bowl, combine all ingredients. Adjust seasonings, oil and vinegar to taste. Serve immediately or refrigerate until ready to serve. 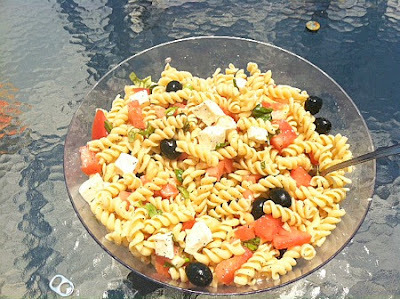 This entry was posted in make ahead, mozzarella, pasta, QuickAndEasy, salad, side dishes, tomatoes. Bookmark the permalink. This sounds wonderful! So refreshing for the summer!